Sometimes, different people are part of the Trustpilot Business account creation process. Now you can change the email address associated with your account. Maybe one person registered with Trustpilot and claimed your domain using one email address, but someone else needs to invite customers and respond to reviews. Or your company merged with another business, and your email address has changed. No matter what the reason is, you can change your Trustpilot Business account email. In the Trustpilot Business portal, point to your name in the upper right-hand corner of the screen. In the drop-down menu, select Account settings. 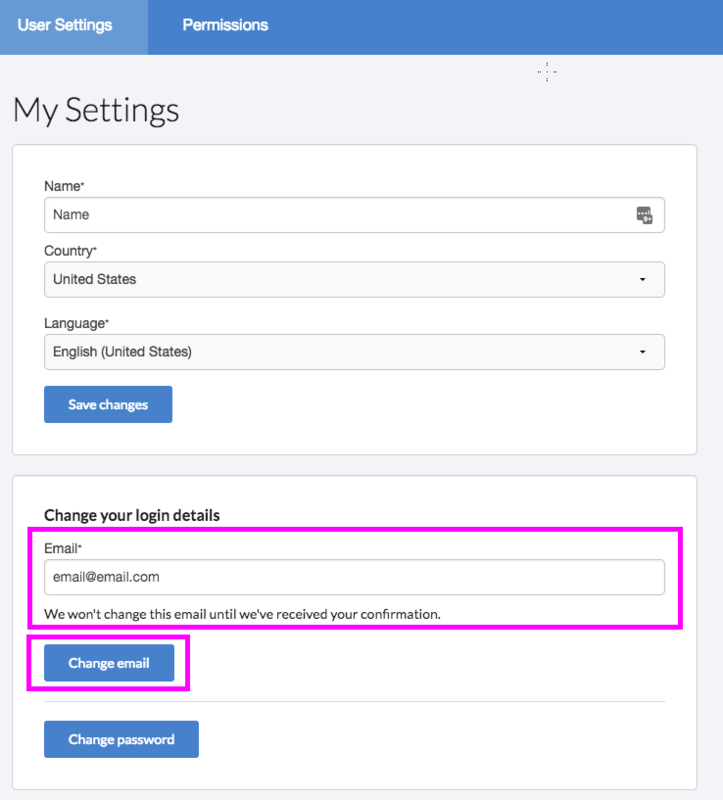 On the My Settings page, in the Change your login details card, enter the new email address in the Email field. Select the Change email button. In the confirmation box that appears, enter your password then select the Confirm password button. You'll receive a confirmation email at the new email address. In the email, select the Confirm email button. On the authentication screen, enter a new password for your business account. Confirm the password, then select the Save password button. Select the Go to login button to log back in to Trustpilot Business. Success!